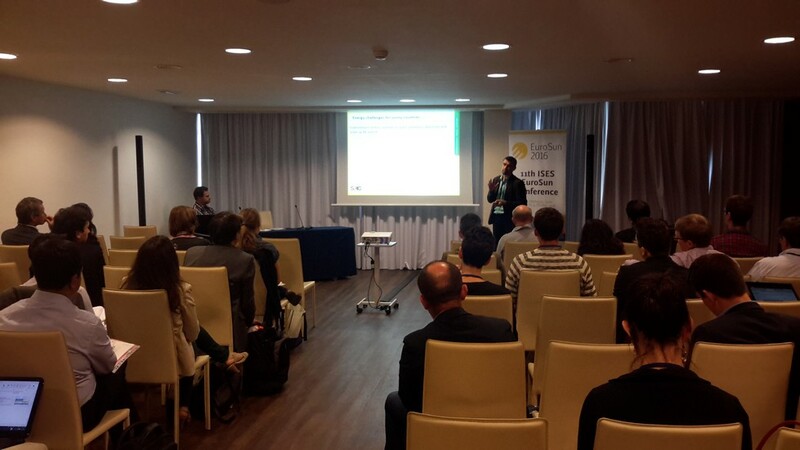 With nearly 250 researchers coming to Palma, EuroSun 2016 has been a unique platform to discuss the latest developments with leading solar energy specialists as well as policy makers and industry representatives. The congress has hosted topic sessions, keynote speakers, plenary sessions and open discussion forums, as well as social events where researchers have had the opportunity to network, to meet old friends and to make new contacts. Everything in the unique environment Mallorca offers to its visitors. A specific session has been hold on 2 SHC key tasks on Wednesday 12/10 : Task 49 and Task 53. Daniel Mugnier, operating agent of IEA SHC Task 53 has been honoured to present the latest results and the situation of solar cooling community in 2016.